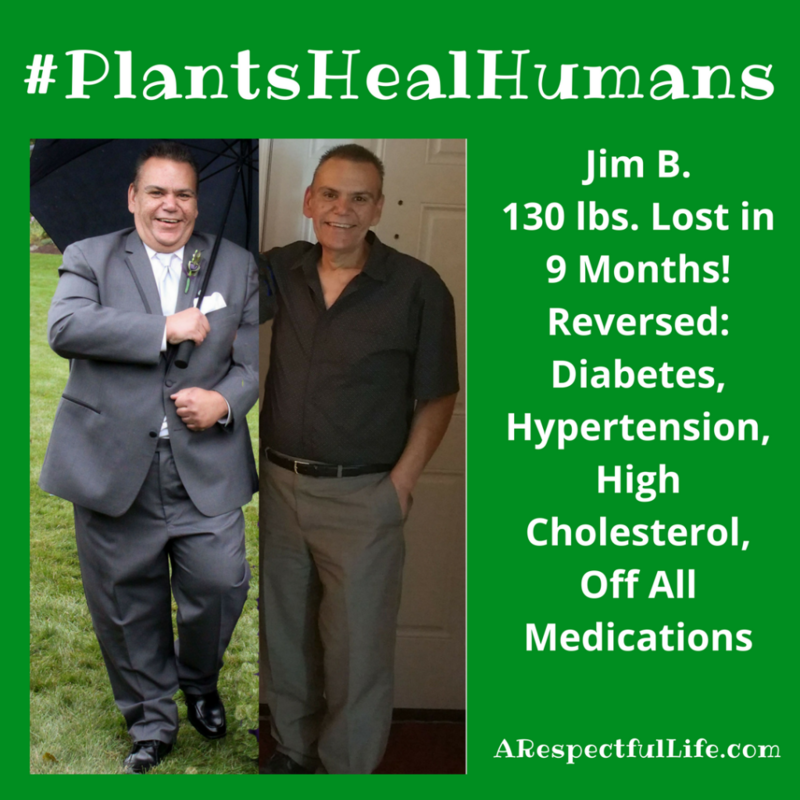 In November of 2015, Jim decided to take control of his health. He was on 8 medications, his weight was 328 lbs, he had diabetes and was on 130 units of insulin per day, had high blood pressure of 160/90 and was taking medications for it for 20 years, his total cholesterol was 265 and he had been on medications for 5 years, and also had arthritis in both hands with injections for pain every 3 months, along with many other problems. 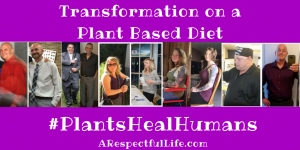 As soon as he started a Whole Food Plant Based Diet, his blood sugar went down to normal, with absolutely no medication within10 days! His blood pressure went to 112/68 in 2 weeks without medication. After 3 months of being on the WFPB diet his blood work confirmed that his total cholesterol was down to 134 also without medications! 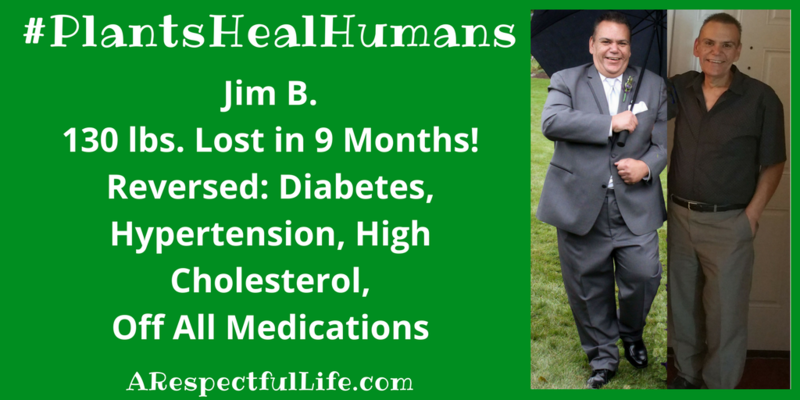 In 9 months time, Jim lost 140 lbs. And his weight was down to 177lbs. His current weight is 164lbs. And he is off all medications.